The Girona-Costa Brava airport has an important position from both a tourist point of view and as regards trade and industry, as it is located near the Costa Brava, the Pyrenees and the cities of Girona and Barcelona, 10 and 85 km away, respectively. 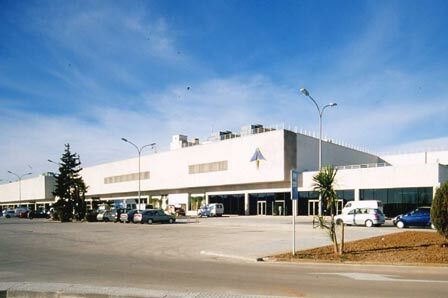 Due to the "budget" airlines, the Girona-Costa Brava airport has experienced spectacular growth in recent years, which has led to traffic in excess of 3 million passengers in 2005, that is, a growth of 19.3% compared with 2004. Furthermore, it handled 32,126 flight operations and 241 tonnes of cargo. 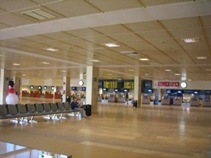 Girona Airport (Gerona Airport) on the Costa Brava is an important airport for tourism in north-east Spain. It is the gateway to the Pyrenees and is located around 10kms from Girona City centre and 90 kms from Barcelona Airport. We have compiled information and advice on all aspects of travelling to and through Girona Airport and present you with the most detailed and comprehensive resource of its kind. One of the most asked questions is about getting From Girona To Barcelona City, we provide all information and resources including links to timetables etc for Girona Airport buses, Girona Airport taxis, Girona Airport trainsand our recommended partners for Private Girona Airport Transfers, Girotransfer. After you have landed and enter the Girona Airport arrivals hall you could use our Girona Airport maps and Girona Airport driving directions to help you drive your Girona hire caronto your holiday destination. On your return to Girona Airport we have the low down on Girona Airport parking, eating and Girona Airport shopping that is available within the Girona Airport departure hall and a directory of useful Girona Airport telephones numbers that you may require. During 2003 passenger growth at Girona Airport exploded with the arrival of Ryanair who use this airport as one of their main hubs with flights coming in and leaving from all over Europe. There are many popular holiday destinations within easy reach of Girona Airport including Blanes, Lloret de Mar, and Barcelona itself. You could even start your holiday in Spain and end it in the superb Languedoc area of south-western France. The intense aeronautic activity in Barcelona at the beginning of the century resulted in many flights throughout Cataluña. The first flight in Gerona took place on the 3rd November 1913 and there were others in 1920, 1923, 1928 and 1930. In 1931, the Empordanés Flying Club was formed which, with the help of the town council, opened an aerodrome in Figueras. In 1932, the Cerdanya Flying Club was established, using an aerodrome in Puigcerdá for its activities. The services of Cataluña Aeronautics helped to establish tourism air routes in the Pyrenees and the Costa Brava. As the most important area in the Pyrenees, the Cerdanya aerodrome was opened in 1934 in Puigcerdá. The abolition of the Catalan government in 1939 paralysed all development of aerodromes in Gerona. There were seven aerodromes in the area during the Civil War which were closed at its end, except for the aerodrome located at Banyoles. In 1957, the provincial council started procedures to establish an airport in the province. It chose land in the city limits of Aiquaviva and Vilobí d'Onyar, ten kilometres south of Gerona. In 1965, the new airport had a runway measuring 2,200 by 45 metres and parking facilities for nine medium-sized aircraft. 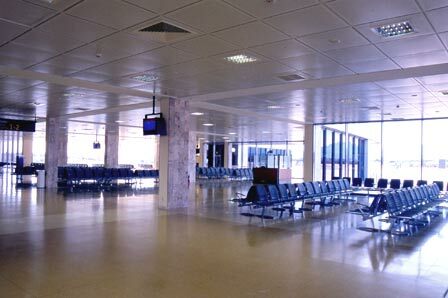 The airport was named Gerona Costa Brava Airport. Later, a power plant, control tower and transmitter facility were installed and a single-storey passenger terminal was constructed, measuring 2,600 square metres. Furthermore, a taxiway was constructed parallel to the runway and rapid exit taxiways. In February 1966, the airport easements were published and construction works to extend the runway by 200 metres and other complementary works were approved. On the 3rd March 1967, Gerona - Costa Brava Airport was opened to domestic and international civilian passenger and cargo air traffic. The airport was classified as first administrative category. In 1969, the aircraft parking facilities were enlarged and the taxiway was extended to the departure points of the runway. 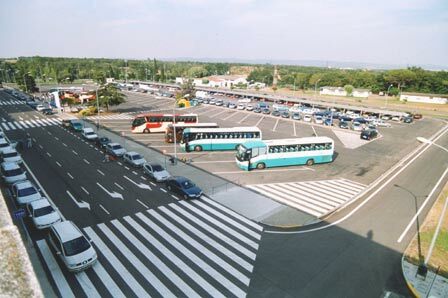 That same year, due to the increase in traffic volume, the building works for a new terminal were initiated, the parking apron was enlarged and a new rapid exit taxiway constructed. These works were completed in 1972. In 1975, the airport was closed to traffic to extend and adapt the runway to the necessities of large jet aircraft. The aircraft parking facilities were also increased and a fire and rescue building was constructed. 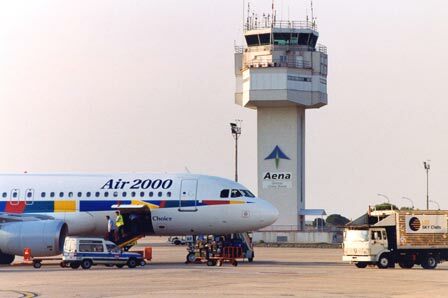 In 1983, Gerona Airport handled its maximum number of passengers - 830,000 - after which the volume began to decrease due to changes in tourism trends, the usage of alternative means of transport to access the Costa Brava and the proximity of Barcelona Airport. GND Eng start clnc rqr, rpt lctn. NS ABTMT Exc tkof and ldg, opr blw 2000' AGL proh for Cat C,D acft wi A/D tfc circuit. If possible, avoid ovflt of urban nucleus. OPR HOURS Opr 0530-2300Z win, H24 sum. RSTD NORDO proh. Cat C and D acft trng flt proh weekend and hol.